In an exchange between the show's stars, the pair are mentioned as an example of two people who work together well to achieve a common goal. 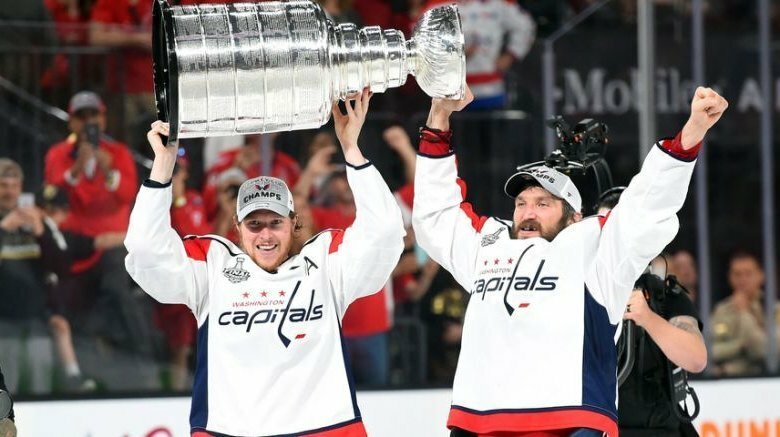 While the Capitals take a much needed day off Sunday before wrapping up their four game road trip in New Jersey on Tuesday, they might find some time in their schedule to watch the series “Billions” as Caps’ players Alex Ovechkin and Nicklas Backstrom are recognized for their stellar play in the upcoming season. In an exchange between the show’s star Damien Lewis, who plays Bobby “Axe” Axelrod and Sarah Stiles, who plays trader Bonnie Barella on the SHOWTIME series, the pair are mentioned as an example of two people who work together well to achieve a common goal. The Caps’ two leading scorers for the defending Stanley Cup Champions have their names brought up in a heated exchange between Axelrod and Barella, as they discuss a colleague, Rudy, (Chris Carfizzi) who’s under-performing. For the non-hockey fans out there, Axelrod is accusing Barella of not being a team player — unlike Backstrom who has a career total of 639 goal assists to date. Barella is defending her selfish work style by saying Rudy is no Ovechkin and can’t be trusted to succeed if she sets him up, hence the “bars down” reference. One of the “Billion” writers, David Levien credits his kids with the assist for getting the reference into the show, as they are NHL fans. So that’s why the Caps got some love from SHOWTIME, but this isn’t the only time that “Billions” has woven a hockey reference into it’s show. It’s unlikely that hockey’s version of Batman and Robin, together since 2007, won’t be spending their off season reading scripts or doing table reads, but you never know what’s in store for them once they decide to hang up their skates.